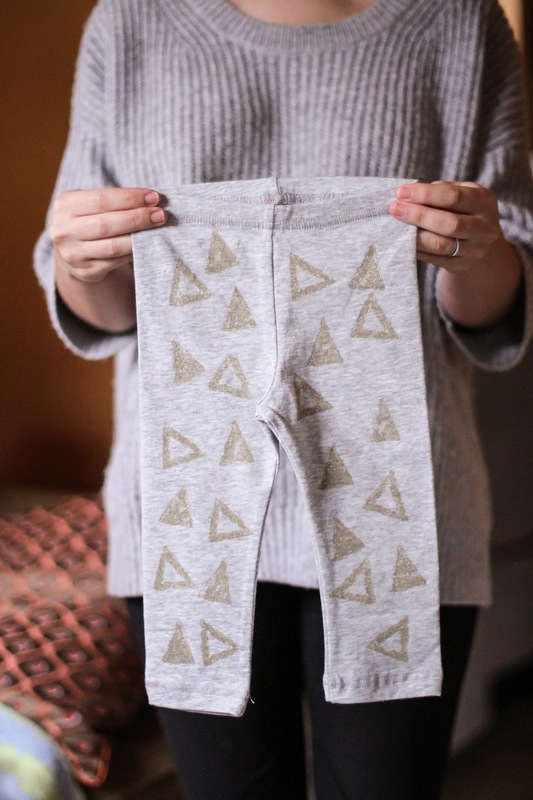 Last week my friend Maddie and I stamped some leggings for our little guys. It's pretty cheap, easy and fun. It's surprisingly easy to carve shapes into a potato and the stamping works a lot better than I imagined it would. 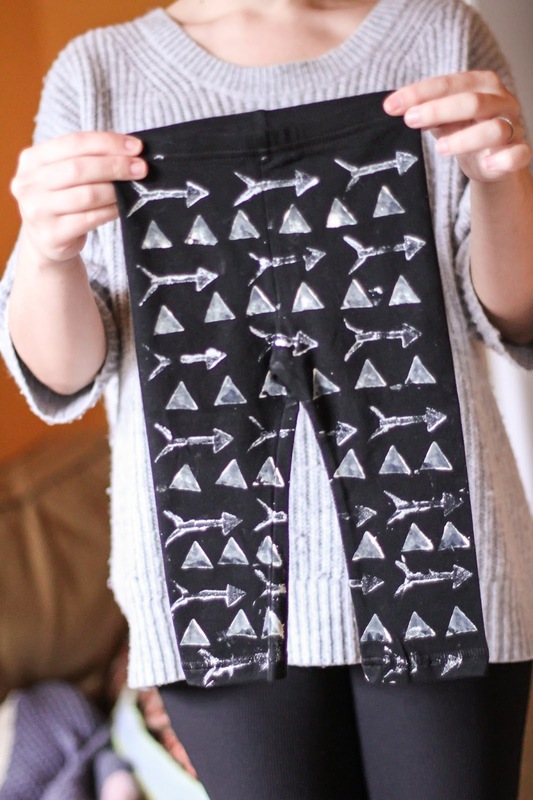 We chose some metallic paints to add a spark to some of the leggings. Not sure if gold is boy-ish enough, but does it even matter? I don't think so! This is GREAT. 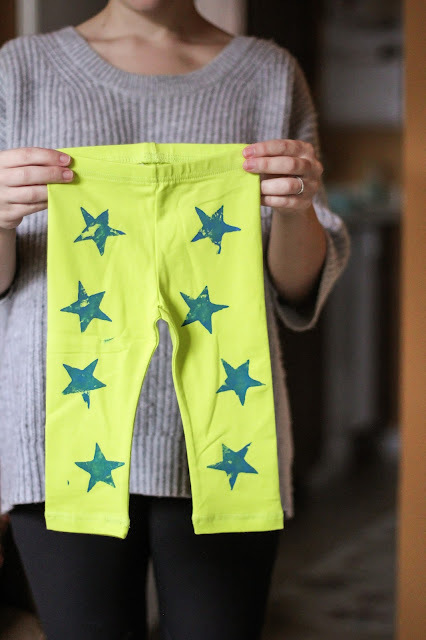 One of the best DIY I have come across yet! Following on Bloglovin. This DIY is great! I'm definitely going to try this one of these days.